Bonjour! 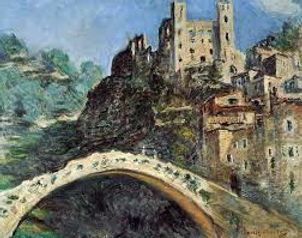 Join me for a gelato on an Art Retreat to the French/Italian Riviera. 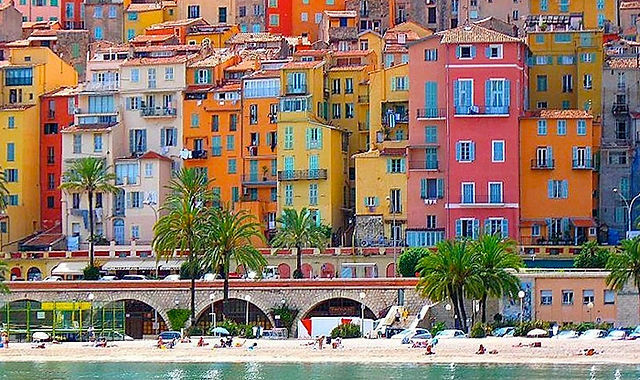 We will be based in the citrus-colored city of Menton. You will create your own travel journal with watercolor accompanied by lettering. Record and savor unique places on our travels with endless views and surprising daily treats. Not your imagination – real! April 30- May 6, 2020. 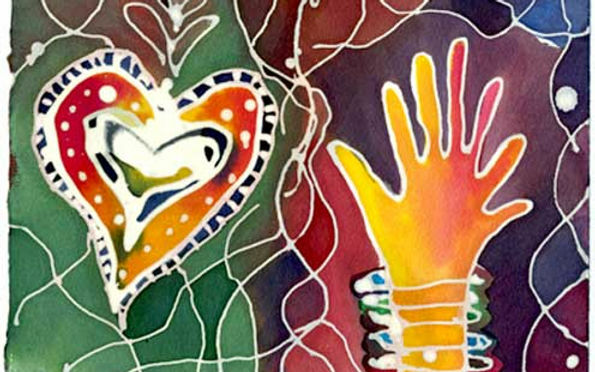 For prices and full link to receive a Registration Form, See the sidebar: Workshops/Classes/Events. It will take you to a link for that info. Apr.30- May 6, 2020. Bonne journée! I’m a published, free lance artist with a love of letters, calligraphy and an outdoor journal illustrator. I paint in the field, working “en plein air” capturing the scenery before me whether it be flowers, architecture, or people. Nature’s showcase is my favorite inspiration. 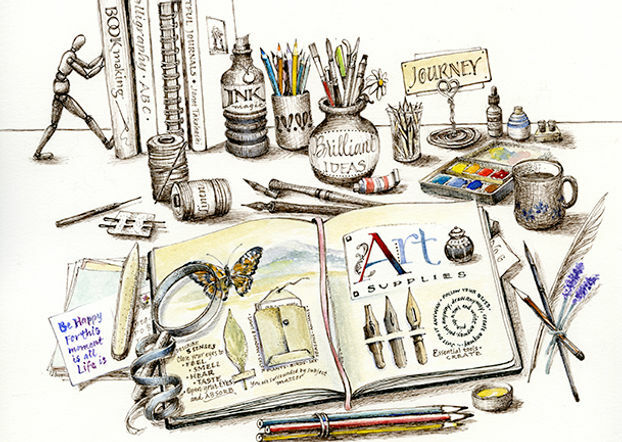 ​I’m also an avid journal keeper, and a professional illustrator for books and magazines. Journaling is my passion and I’ve written a book on the subject; Artful Journals. We’ll teach you how to create your own travel journals with watercolor scenes that are accompanied by lettering. With just a few basic skills, learn how to record and savor unique places with pictures, collage, and descriptive text to treasure your travels for years to come. 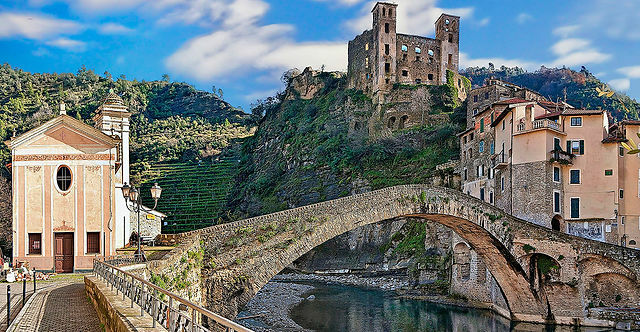 We’ll be based in this lovely, citrus-colored city that stretches to the Italian boarder, and has a more chill vibe than the other well-known towns along the coast. 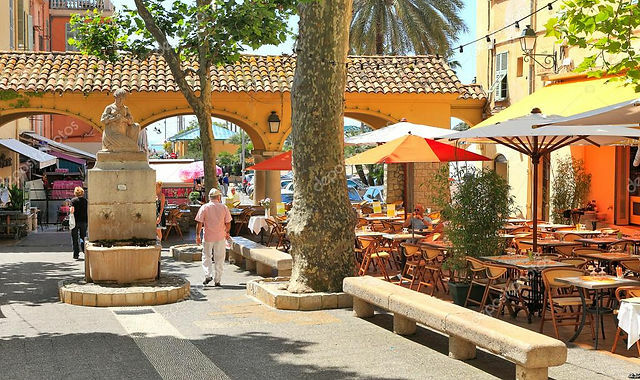 Menton has great shopping, waterfront restaurants, a lovely old town, and a big gorgeous beach! A great find, and perfect place to unpack. 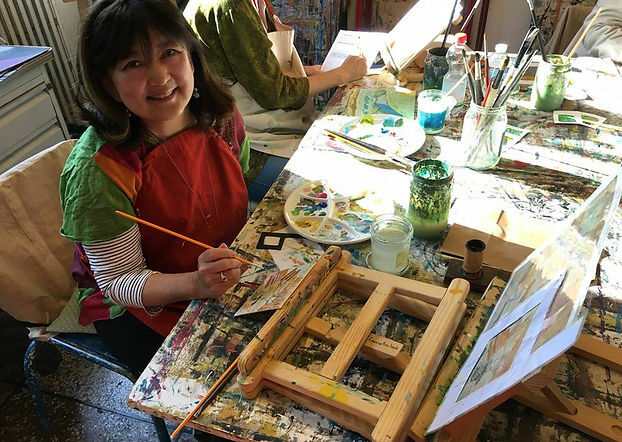 ​Viaggio Tours offers daily art classes with Janet while taking advantage of this stunning coastline. 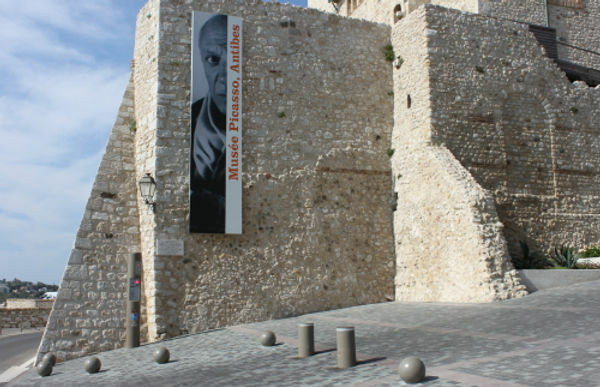 We’ve included visits to the cities and towns listed below, as well as the Picasso Museum, Villa Ephrussi di Rothschild, and many more activities. An opportunity not to be missed. 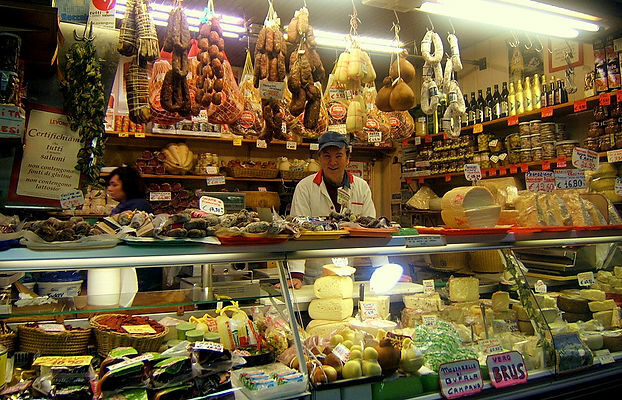 Every Friday, Ventimiglia has a huge market of meats & cheeses, produce, leather, clothing, and tons more. Even the French cross the border for it! Wonderful covered Provincial Market, walking the walls, fantastic beaches, the Absinthe Bar and the Picasso Museum, There’s a lot to love in this town! 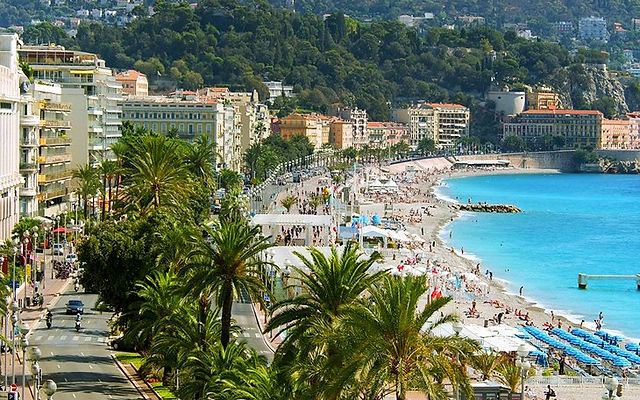 “The Pearl of the Riviera”, Nice is a vibrant city filled with treasures like its Flower Market, Old Town, public art, museums, and a waterfront promenade that goes for miles. 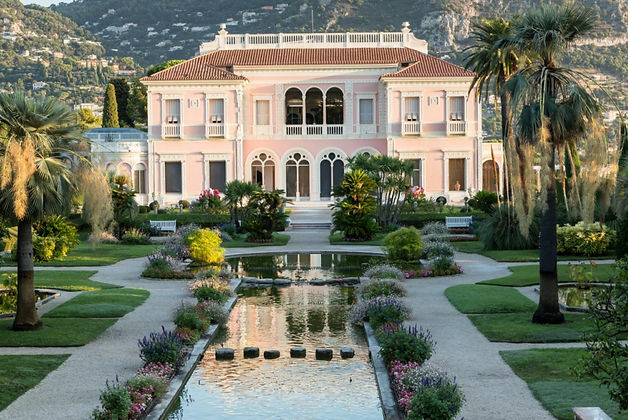 A magnificent villa on Cap Ferrat with nine gardens and a musical fountain. We’ll even have time for lunch in the Tea Room. 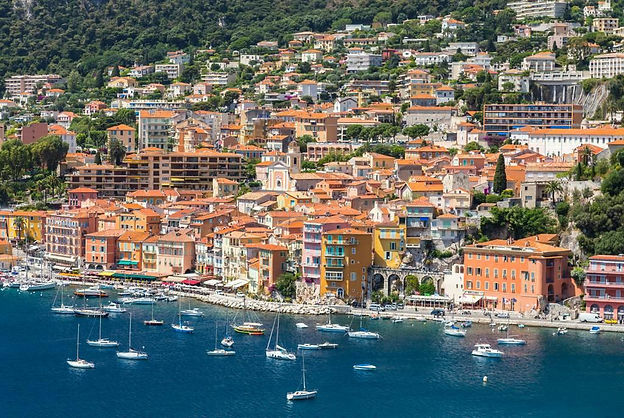 Villefranche sur Mer We’ll explore this charming French fishing village lined with pastel colored buildings, and enjoy wandering its lovely narrow streets full of restaurants and cafes.